Home security is one of the most important investments for the modern home. 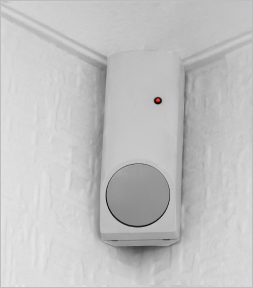 Whether it’s a simple sensor light at the front door or a full-scale alarm system with cameras, Automated Lifestyles can create a security scheme that’s right for each and every part of the home. When integrated with lighting, a system can be as efficient and secure as Fort Knox with the aesthetic and warmth of a country manor. Although part of a security system is about keeping unwanted people out, it can also give you better access so when you come home, for example, an automatic unlocking system can let you in without fussing around in your bag for keys. If you have electric gates, these can be opened from your car on approach or programmed so at a certain time gates are opened and doors are unlocked without you having to lift a finger. If you’re out and unsure you punched the security code in properly, you can even check the status from your phone. It’s all about making home security less about codes, cameras and worry and more about you not needing to give another thought to how secure your property is.